Hosting a competition like the U-17 World Cup is by no means an easy task, but the resulting chaos galore that has marred the games so far, and the ingenious response by Nigerian authorities to what has turned out to be an international embarrassment, is another reminder (if indeed any was needed) that Nigeria's capacity to shock and scandalize is infinite! And if that was not embarrassing enough, just picture this: in response to FIFA complains about the low turnout during matches, Nigerian authorities have resorted to hiring crowds to fill the stands. Local Organizing Committee (LOC) sources told Huhuonline.com that "for the Nigeria-Honduras match, 40,000 tickets were given out free to encourage spectators to come to the Abuja National Stadium". The Lagos State government is providing free transportation to and from the stadium. Nigerian government officials, with their remarkable genius for travesty have found yet another opportunity to transform an occasion used by other nations to showcase their tourism into a clangers and opportunism galore, resulting in generalized chaos. In many of the centers, school children are taken out of school and forced to make up the numbers at the stadium. TV images showed helpless secondary school pupils in uniform, watching a football match they probably were not interested in at 7:30 pm at night. If that is not child abuse, then Huhuonline.com wonders what else is! 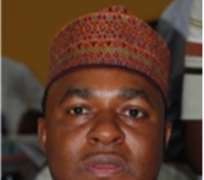 In Bauchi State, Governor Isa Yuguda is buying up all the tickets for the matches, and asking people to just come to the stadium. A source told Huhuonline.com that the Governor has so far spent N20 million to fill the stands. There are some countries that are so football-crazy that a match involving any of their national teams is enough to set off a wave of hysteria. With Nigeria firmly among this select group, it is hard to imagine why the authorities should be bribing spectators to go and cheer on their countrymen at the FIFA U-17 World Cup on home soil. While it will be naïve to assume that all the governors and Ministers who are buying up tickets for free distribution, are spending their personal funds, there are other embarrassing reports about how the Italian U-17 team bribed spectators with sweets and T-shirts. And trust Nigerians. They supported the Italians. As a country with a fervent love of the game, Nigeria looks likely to be the perfect venue for this festival of football. Thousands of fans travelled to follow the Golden Eaglets in Korea Republic two years ago and their noisy, playful support clearly lifted the team to victory in 2007. That those same supporters are now asking to be bribed to fill the stands and cheer on the stars of tomorrow, in Abuja, Bauchi, Calabar, Enugu, Ijebu-Ode, Kaduna, Kano and Lagos - the eight cities selected to welcome the 24 trophy hopefuls – clearly defies commonsense.